Unitron was founded in 1964 and has recently celebrated 50 years in hearing aid manufacturing. It’s headquarters are based in Canada, and it is part of the large Sonova group. 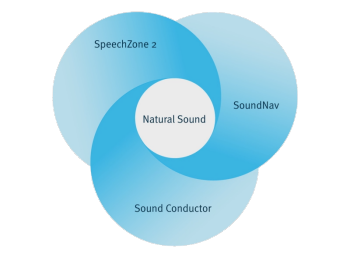 SpeechZone 2: is automatically activated in difficult listening situations with significant levels of background noise. 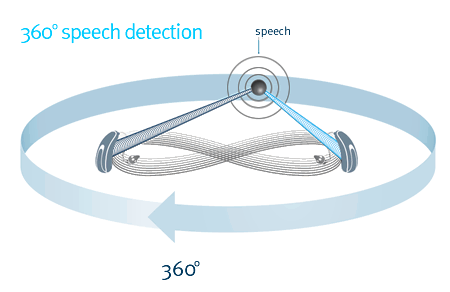 It uses binaural processing to allow 360 degree speech detection which allows you to hear a speaker from any direction. Binaural processing means the two hearing aids are constantly communicating with each other to act as one system (just like our brain uses our two ears). 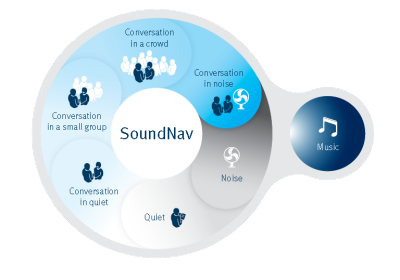 Sound Conductor: automatically balances comfort, sound quality and speech understanding in order to maximise natural sound quality. This occurs continuously within the hearing aids to ensure you hear as naturally as possible whilst maintaining listening comfort. Of course, Unitron offers a full range of accessories including discreet remote controls and the very popular uDirect accessory which allows you to wirelessly stream audio signals (such as mobile phone calls, TV audio) directly to your hearing aids . Focus Hearing has years of experience helping you understand the benefits of these accessories.